Creative has a new external sound card device for console gamers who want to amp up the sound on their gaming headset. 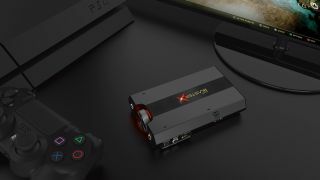 The Sound BlasterX G6 is a high-resolution gaming DAC amp and USB sound card you can plug into a PC or any of the current consoles including the Xbox One, PS4 or Nintendo Switch. Likewise, the Sound BlasterX G6 works with any old headset including those not made by Creative, as long as they use standard 3.5 audio jacks. Creative claims that by incorporating precision audiophile components and bi-amplification technology, the G6 can power each channel separately to deliver a whole new level of audio fidelity with superior clarity and accuracy. The external sound card also provides plenty of additional features such as Dolby Digital decoding, 7.1 virtual surround sound and sidetone-speaker volume control. “[It was] a departure from its traditional usage with PCs” Chye said. “As more and more people discover the value of great audio outside of the world of the PC, we wanted to offer another option with even better performance and components." The Sound BlasterX G6 is available now on the company’s website and other retailers for $149 (about £120, AU$200).